Put2Go is a magnetic smartphone car mount with built-in Qi wireless charging. 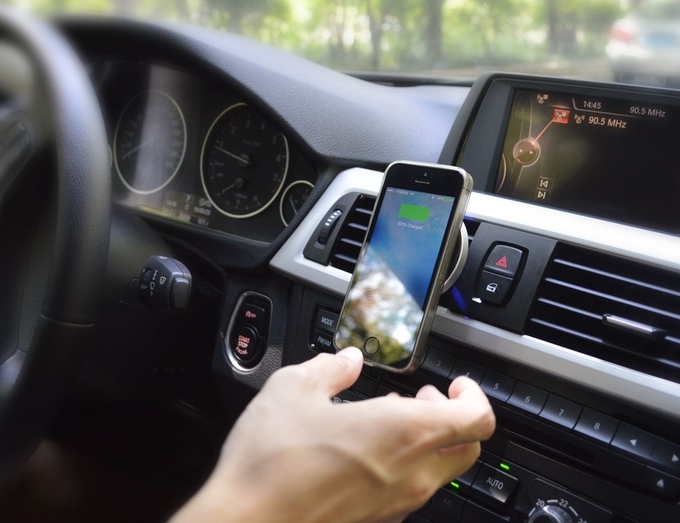 What makes this device different from all the other wireless charging car mounts is its rare earth magnet to keep the device in place. The magnet helps keep your smartphone on the mount even when travelling through bumpy roads while charging your smartphone. 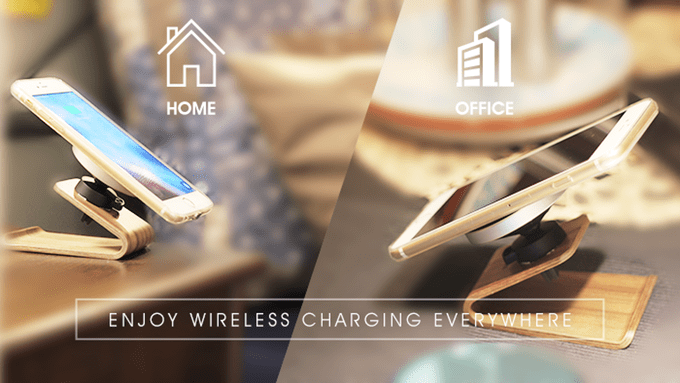 The Qi wireless charger outputs 5W of power to your smartphone, which is the normal rate for most smartphones. This sadly does not support the current fast wireless charging that other wireless chargers offer. Placing and removing the smartphone from the mount is very easy and requires little effort. The Put2Go is made to be placed on your air vents to keep your phone in view and to avoid overheating. Wireless charging can get hot depending on the situation, and since the air conditioning is behind your smartphone, your smartphone will surely stay cool. Put2Go also offers a stand for their wireless charging car mount if you opt to use it at home. The make looks nice and sleek with the wooden finish and a slight angle for easy viewing. For consumers with devices lacking built-in support for Qi wireless charging don’t leave yet. Put2Go has Qi wireless receivers for devices with a micro-USB, lightning, and type-C ports. For the Qi wireless receiver users, an extra nifty gadget is also available alongside it. To use the port without removing the receiver, a smart magnetic adapter is available. It’s reversible and also removes the wear and tear that would occur from constant usage of the port. Head over to Kickstarter to send out a pledge and have a Put2Go wireless charging car mount with you.